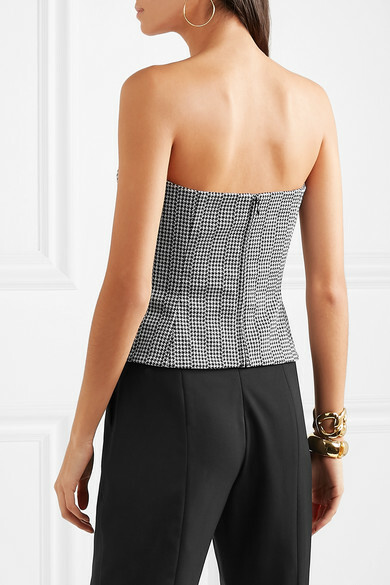 Bringing the house's iconic Medusa motif to life, Versace's Resort '19 collection is inspired by strong and independent women - reflected in this bustier top's structured silhouette. 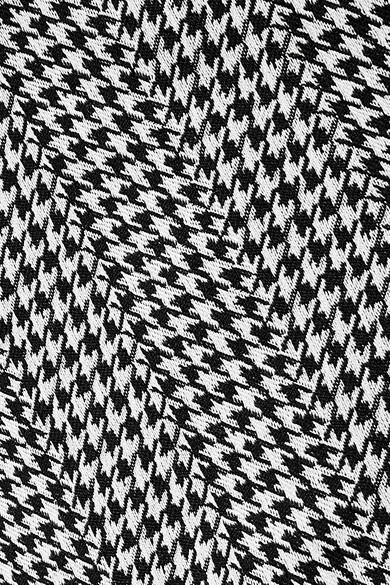 Made from cotton-blend woven in a houndstooth pattern, it's fitted with internal boning for shape and support. Wear it solo or layered over one of a logo tee. Shown here with: Versace Pants, Versace Shoulder bag, Christian Louboutin Pumps, Kenneth Jay Lane Cuff, Isabel Marant Earrings.